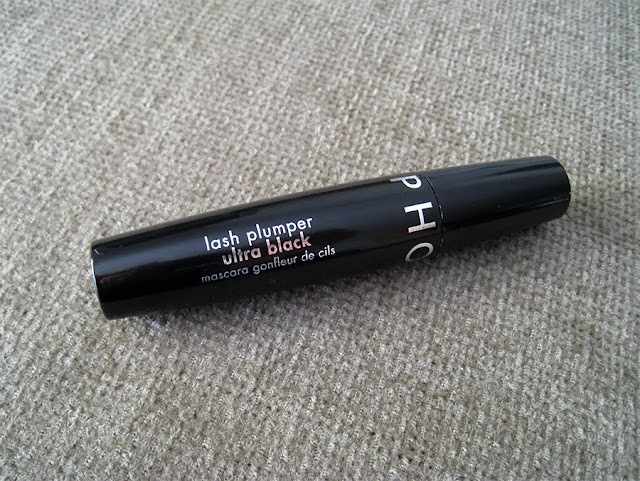 Carousel Coral: Sephora Lash Plumper Mascara Review. Happy 2014 everybody! 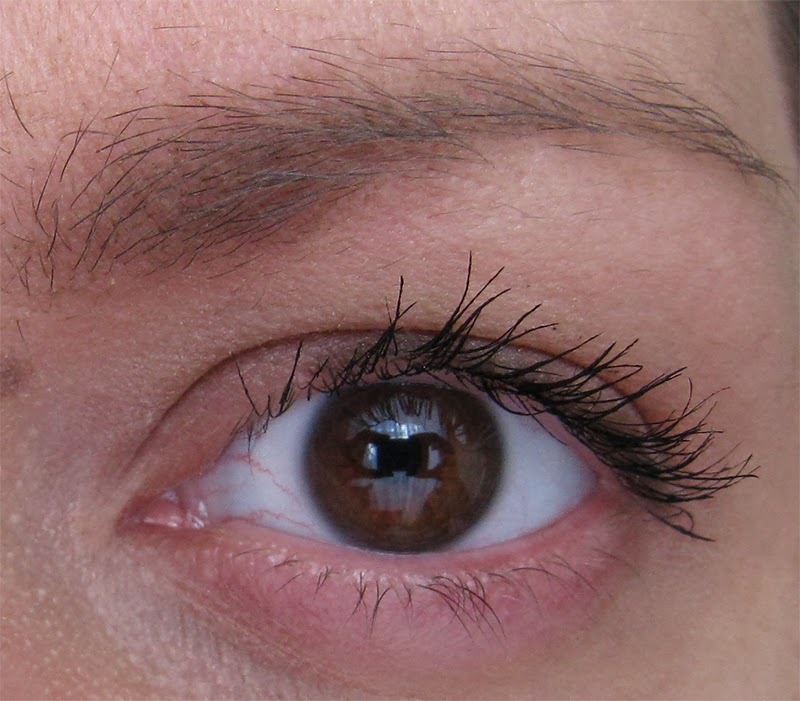 After a small break from blogging I'm back with a mascara review. I've been using this mascara for a long time and I wanted to share my opinion about it with you guys, and to be honest I haven't see that many reviews about this mascara on blogs or Youtube so it's a great opportunity to do one now. So let's start! It comes with a typical mascara brush, it's not a plastic/rubber one, which is a huge plus for me, I rarely like the plastic mascara wands. The brush is more on the thicker side, but not too thick, and it has a medium to big size. Tthe bristles are really packed between them but they are super soft, you can definitely brush your lashes with it and define them with no problem. The texture is what I love the most in this mascara, it's amazingly soft at first, it hardens a bit after half an hour, but when I first apply it it's so soft that I can brush my lashes with it many times in order to achieve the look that I want and define them even more. Even though it's not a waterproof mascara, it never smudged on my lower lashlines. I have been using it for almost 3 months and the texture is as good as new, it's like I've opened the tube just yesterday. I think it's the first mascara I've ever used that even after it has been opened for 3 months, it hasn't dried up at all. This mascara gives me lots of length, especially when I work it on my lashes really well, I can create that beautiful "feather" look. It does give some volume too, but mostly length. 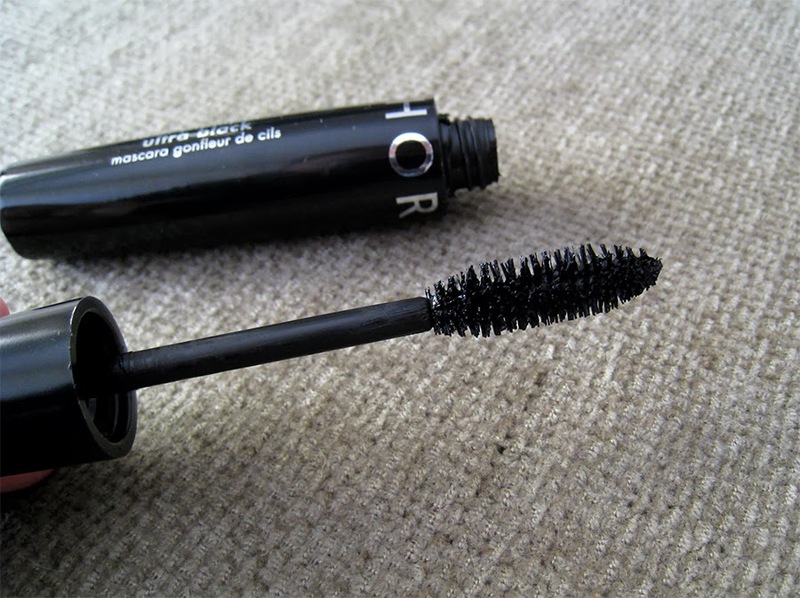 Something that really surprised me is that it really holds a curl, which is very difficult for me, unless I use a waterproof mascara which I hate, so for a non waterproof mascara I think it holds a curl really well! If you saw the rest of my mascara reviews that I did in the past, the L'oreal Mega Volume Collagene 24H Mascara , L'oreal Volume Million Lashes Excess or Maybelline The Rocket , which are also non waterproof mascaras, you can see a huge difference at how curled my lashes look, with the Loreal ones and the Maybelline too my lashes look pretty much completely straight comparable to the Sephora Lash Plumper! And for that reason and only this is a mascara that I will repurchase in the future for sure. When I bought it there was a deal at Sephora and I got it for 10 euros only. The original price is 15 euros, which is a good price in my opinion, it costs the same as a Maybelline mascara here in Greece. You can find it only at Sephora stores. -It gives amazing length to the lashes. -It holds a curl for hours, even though it's not a waterproof mascara. -It has a very soft texture, not too wet and not too dry, you can brush the lashes lots of times before it starts to dry. -Even after 3 months opened the texture is still as good as new. 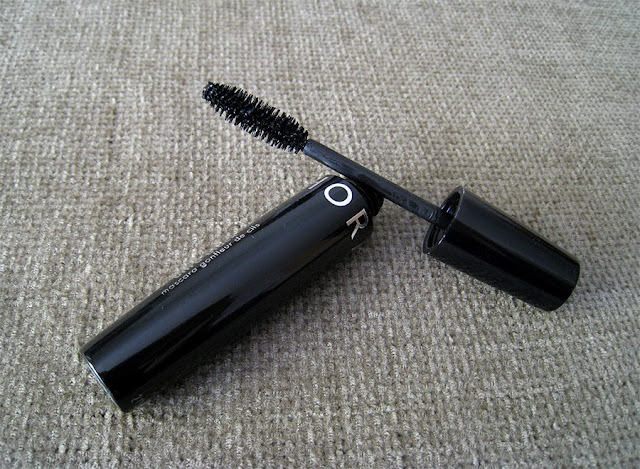 -The price, at least the European one, is the same as other drugstore mascaras which is really good. In my opinion, absolutely none! It's very difficult for me to admit that I can't find something bad to say about a mascara but literally I can't find anything with this one, it's perfect! Some people would find the misleading name as the bad part, because even though it says lash plumper you'd expect a mascara that gives more volume than length, but that's not the case with everyone. The fact that it doesn't give more volume to my lashes it doesn't mean that it's the same with everyone, we all have different lashes. Yep, I gave a 10/10 to a mascara because it's that good! It's a shame that it's not very popular in the beauty blogger community but in my opinion I think it's a mascara that deserves more attention. I think you should all try it and I will definitely repurchase it in the future. I'm very intrested to know if any of you've tried this mascara, and what's your opinion about it. Πράγματι δεν είναι τόσο δημοφιλής, νομίζω είναι το πρώτο review που διαβάζω γι αυτήν! Ναι κ μέχει παραξενεψει πολυ που δεν βλεπω reviews για μασκαρα των Sephora γενικοτερα. Ειναι πολυ καλη ειδικα με τις προσφορες που κανουν συχνα, οπως τωρα με το 1+1, συμφερει αρκετα. Πολύ καλό αποτέλεσμα! Ίσως την πάρω κάποια στιγμή! Εαν δειχνει ετσι ειναι γιατι εχω λιγες βλεφαριδες, δυστηχως ετσι γεννηθηκα, οποτε ολες οι μασκαρες δειχνουν οτι κολλανε τις βλεφαριδες μου. Αν δεις ομως αυτη τη φωτο με αλλες που εχω βγαλει στα υπολοιπα reviews που εχω κανει με μασκαρες το αποτελεσμα ειναι καλυτερο. Πολύ ωραίο το αποτέλεσμα, εγώ έχω μία άλλη από Sephora που δεν μου άρεσε καθόλου στην αρχή αλλά τώρα μου αρέσει κάπως απλά δεν τρελαίνομαι κιόλας. Αυτή πάντως έχει πολύ ωραίο βουρτσάκι, ίσως την δοκιμάσω κάποια στιγμή, δεν έχω καθόλου καμπύλη και αναζητώ πάντα mascaras που να κρατάνε την καμπύλη! είδα και τα review σου από τις άλλες και πραγματικά έχεις δίκιο να λες ότι είναι η καλύτερη!νομίζω πως σου ταιριάζει πολύ!δεν την έχω δοκιμάσει αλλά νομίζω πως θα με δελέαζε περισσότερο αν έδινε και όγκο!πάντως για την τιμή της είναι πολύ καλή!πολύ ωραίο το review σου!θα την προτείνω στην ξαδέρφη μου που κι αυτή θέλει να της δίνει καμπύλη γιατί είναι ίδιες ο βλεφαρίδες της! Σ'ευχαριστω πολυ, πραγματι ειναι η καλυτερη για να κραταει την καμπυλη κατα την διαρκεια της ημερας! Σ'ευχαριστω πολύ Σοφάκι μου! Και εγω γενικοτερα δεν εχω δοκιμασει πολλα προιοντα Sephora, τα eyeshadow crayons τα οποια ειναι τελεια, ενα foundation το οποιο με αφησε αδιαφορη, ενα concealer αρκετα καλο, κ αυτη τη μασκαρα η οποια ειναι τελεια!